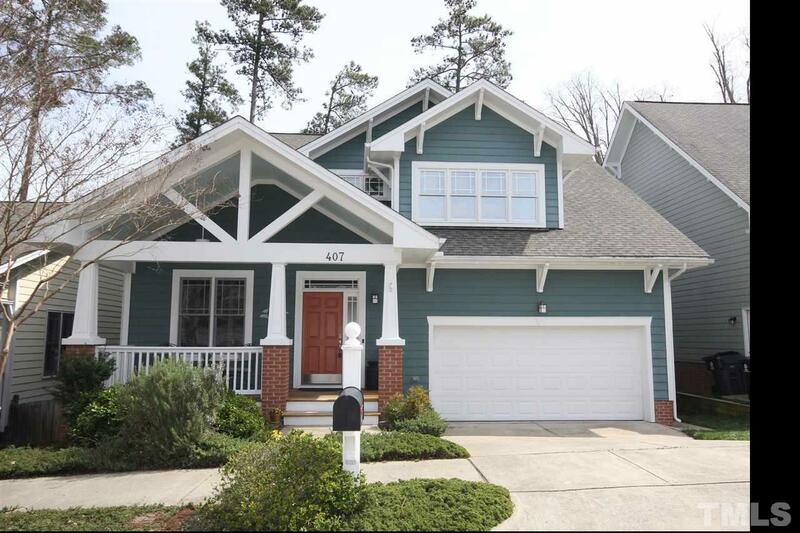 Beautiful Craftsman-Style home w/Master Down at The Green at Scotts Mill! Wonderful open floor plan with lofty vaulting ceilings! Beautiful hardwood floors, trey ceilings in dining and master bedrm. HUGE walk-in closets in EVERY bedroom! Bonus room is almost completely finished out. TONS of walk-in attic storage for all of your extras. Deck w/wooded Views. GIANT walk-in Crawl! Community Pool, Playground & greenways in this large planned community. Minutes from Historic Downtown Apex. Hurry!